New York [USA], Sep 4 (ANI): The United Nations Security Council is set to hold an emergency meeting shortly after North Korea's announcement of successfully testing a hydrogen bomb that is meant to be loaded into an intercontinental ballistic missile. Tehran [Iran], June 7 (ANI): The Tehran Security Council has convened an emergency meeting after two terror attacks were reported on the Iranian Majlis and Imam Khomeini Mausoleum respectively on Wednesday. United Nations, May 15 (ANI): The United Nations Security Council (UNSC) will hold a closed-door meeting on May 16 to discuss North Korea's latest missile test. United Nations, Apr 28 (ANI): The United Nations Security Council (UNSC) will today hold a ministerial briefing to address North Korea's nuclear program and missile launches at the request of the US mission to the UN. New York [U.S.A.], Apr 22 (ANI): The United Nations Security Council has formally condemned North Korea's latest missile launch, demanding that it "immediately" ceases further actions that violate resolutions. New York [U.S.A], Apr 21 (ANI): The Permanent Commission of North Korea to the United Nations has called on the UN Secretariat to hold a forum of legal experts to discuss legal grounds for the UN Security Council resolutions on Pyongyang. 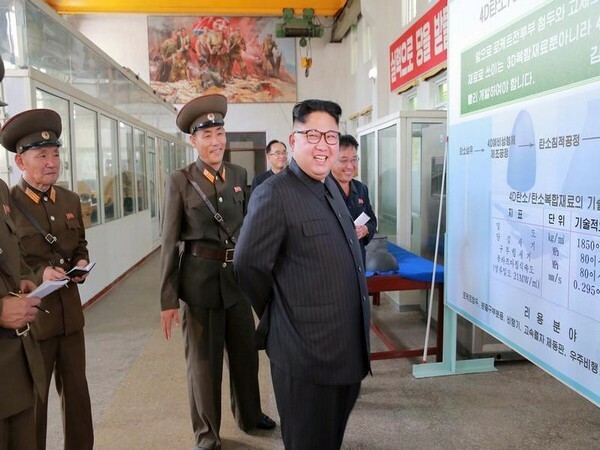 London [U.K.], Apr 21 (ANI): The United Nations Security Council has strongly condemned North Korea's latest missile test and threatened to impose new sanctions against Pyongyang for its "highly destabilising behaviour." Moscow [Russia], Apr. 6 (ANI): Russia has said that it will submit data from its Defence Ministry on an air strike on chemical arms production facilities in Syria at a UN Security Council session.